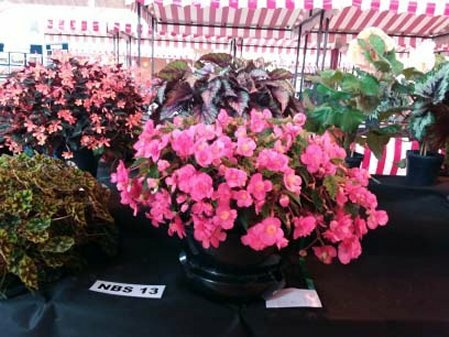 We had another great NBS South West Show in Bideford on 19th August. 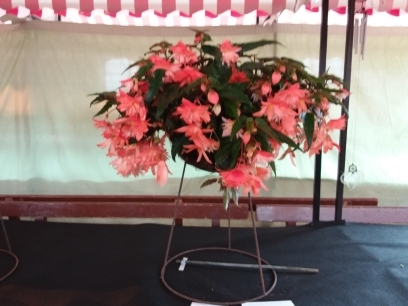 With it being a week after the National Show and in view of the very hot spell leading up to the shows I had doubts on the amount of entries but we had reasonably good. 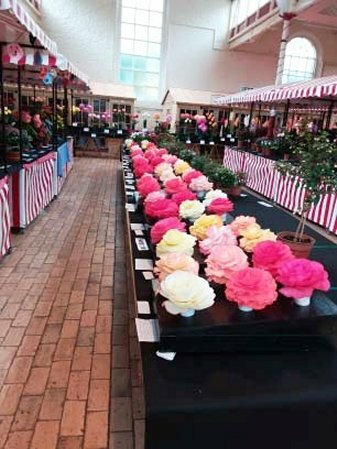 The cut blooms were excellent with more than ever staged. 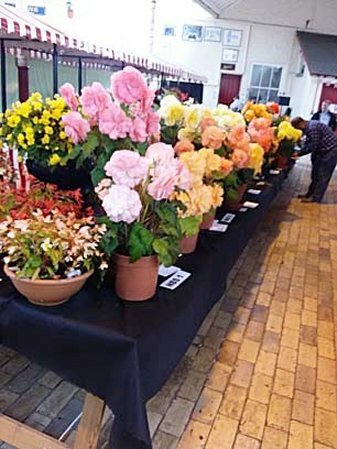 Pots were down on last year including the single stem classes.  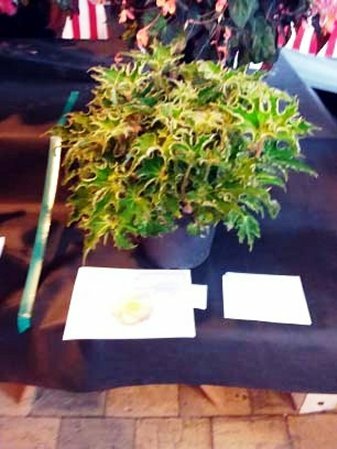 The 3 pot class we added this year did not get the numbers and the Don Dewey trophy class will revert back to the single pot for 2019. 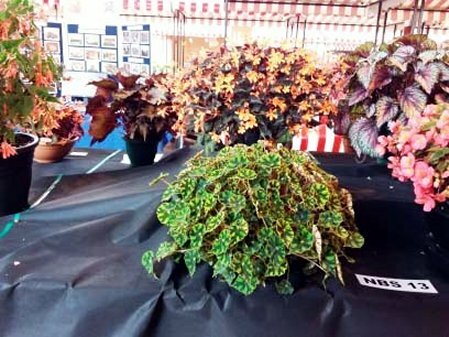 Chad Stone staged plants that would have done well at the National. 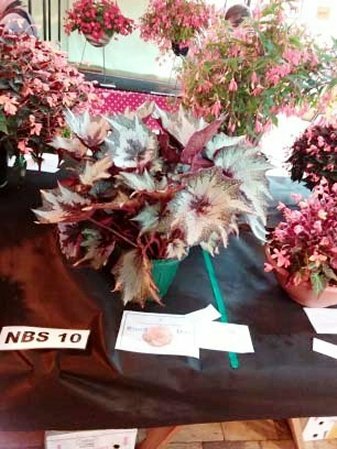 The Bronze Medal for best pot went to Gary Dando with Begonia Rex Black Lace. 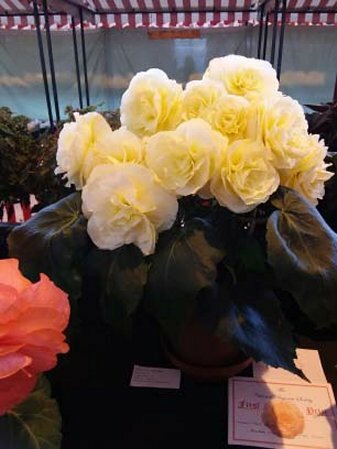 Superb growing from Chad, Lakin Earl and Gary Dando, as was Ian Rhys Williams with Best Individual Cut Bloom winner of the Bronze Medal with Lucy Allerly. 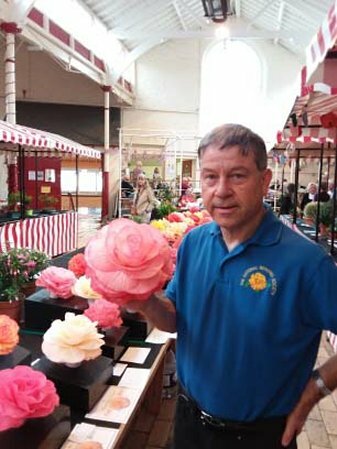 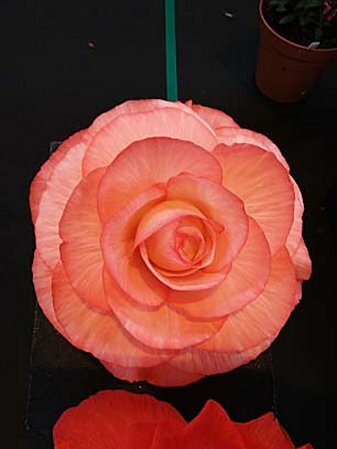 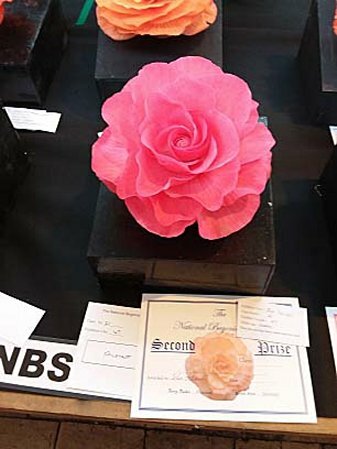 David Heskins took the Novice Cut Bloom and 70th Anniversary Rosette for best Novice with a very nice pink seedling. 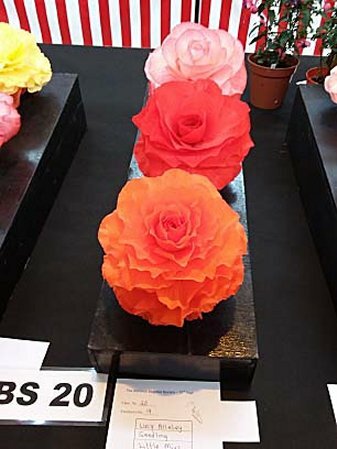 Gary and Chad also received these special rosettes. 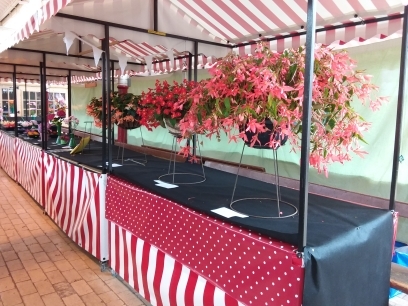 The benches looked great and there were some really good plants and blooms from the South West and South Wales growers. 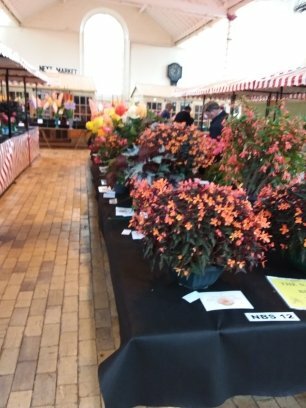 With myself being at Shrewsbury or working on the National Show for practically a week my own plants had again suffered further than they already had with the weather and it meant I couldn’t stage as many as hoped but still covered most of the Tuberous classes, even if it was with plants brought back from the national. 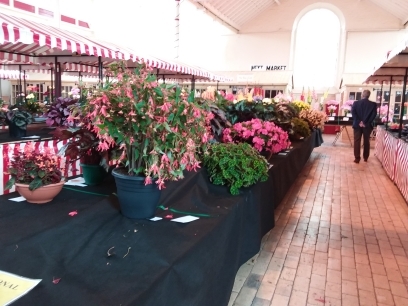 We did have some notable exhibitors missing this year too, no doubt their plants suffered with the very hot spell in June and July. 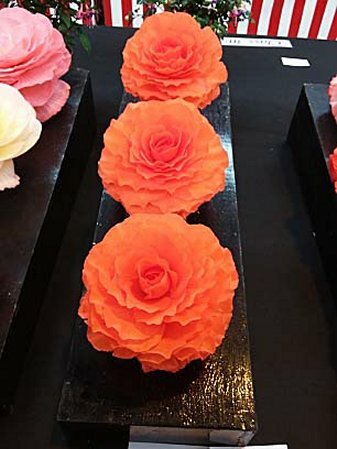 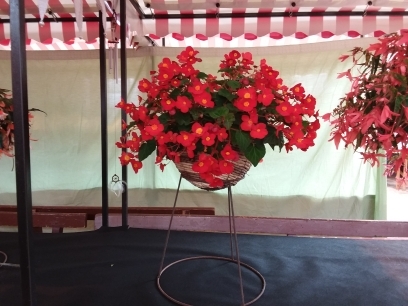 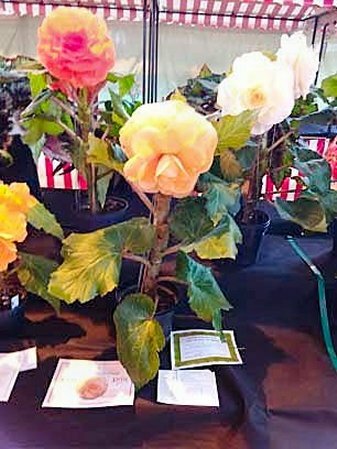 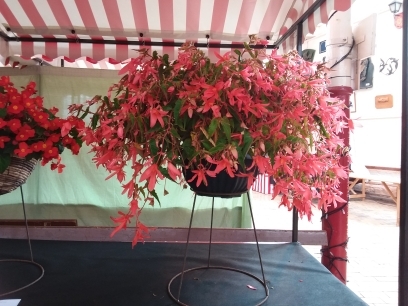 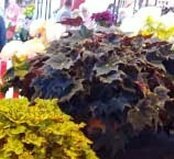 In 2017 for 1 pot of Double Tuberous Begonia, restricted with no side shoots permitted, we had 9 entries for this class and added the 3 pot class this year however it could be the weather situation but entries were poor this year for the both classes. 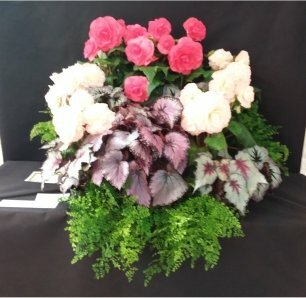 What was staged were very good with Lakin winning the single pot with a superb Fantasia and Chad Stone taking the 3 pot with Tahiti, Jennifer Wilson and Vera Coates. 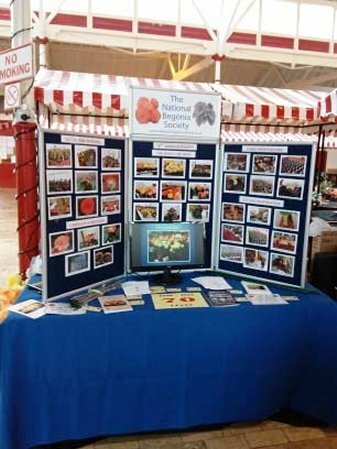 The overall appearance was very much appreciated by the visitors with the new display stand and video presentation drawing lots of enquiries and comments. 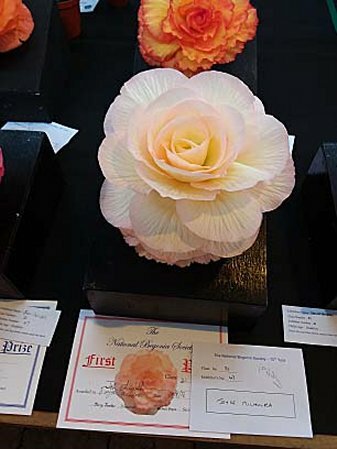 Next year’s date is set for Sunday 18th August, just after the National. 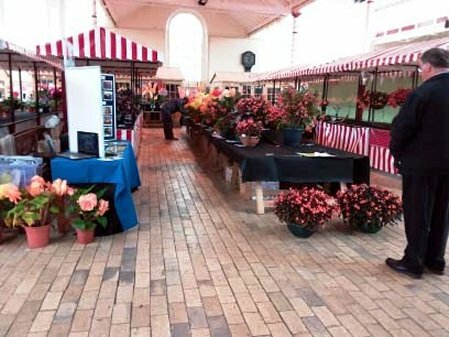 Thanks to all exhibitors for your efforts and support.